While exploring Croatia or Slovenia with us, you will do more than simply visit an area, you will get under its skin by exploring the landscape, wildlife, mountains, Adriatic Sea, typical Karst region, extraordinary cuisine, traditional culture, art and music. Croatia is rich in terms of landscape, culture and history. That is why you will always experience unexpected discoveries on your way. Nestled between the Alps, Pannonian Plain and Adriatic Sea, in the south-eastern part of the European continent, it is becoming one of the most popular tourist destinations in the Mediterranean. But even in the busy summer months there are more than enough secret spots and idyllic places where you can relax and enjoy some reflective solo-time. Croatia is widely regarded as being “home to the world’s best sunsets” and endless sandy and rocky beaches. On over 1100 islands you will have the endless opportunities to relax and discover this unique and modernised country, that managed so well to keep the authentic vibe of the Mediterranean as it once was. Cities throughout the country have well preserved old towns, mostly hidden behind many centuries old city walls. Venetian-style palaces, stone houses, fortresses and narrow, marble streets are just a few of many historical sights. It is a homeland to breathtaking national parks, picturesque nature parks and special reserves that protect plant life, animals and geological formations. A place where you will find some of the world’s most beautiful islands and most spectacular landscape. A land of unique gastronomy with a modern touch of traditional recipes. Croatia is truly a country of diversity. Many tourists visit Croatia with one purpose: sunbathing on dreamy beaches. Although nearly 6000 kilometres of coastline is unquestionably one of the most inviting things, we believe this is just one drop in the ocean of opportunities of how to experience this magnificent land. Walk or bike across the islands, hike high up the mountains, raft down the rivers, get lost deep in the river canyons, explore the amazing underwater world or sea-kayak to lonely beaches. The choice is yours. 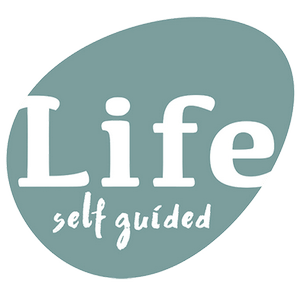 Choose the activities you prefer and let us do the organisation and help you be your own guide. Sun, sun and more sun. There are 12 hours of sunshine a day in May and June, on average, and 13 in July and August. The average of sunshine hours is 2.700 per year. Rich history. Wherever in Croatia you go, you cannot escape the numerous historical sites, some dated back to the Stone Age. Most towns have amazing old towns with well preserved palaces, castles, town squares, city walls and much more. Cuisine. While typical Croatian cuisine is a combination of classic Mediterranean and Italian flavour, the cuisine in Istria is mostly known for its black and white truffles and some of the world-famous wines and olive oil. The islands. Out of over 1100 islands only 47 are permanently inhabited. Discover the endless beaches and hidden forests and let the spectacular sunrises and sunsets take your breath away. The warm Adriatic Sea is one of the cleanest seas in Europe. Beauty on the inside. Dramatic waterfalls, deep canyons, mountains, rivers and lakes. On the islands, you can walk or bike past endless lavender fields, olive groves, orchard and pine tree avenues. Safety. In the past two decades, Croatia went from war-zone area to one of the safest countries in the Balkan. Crime rates are very low and you often see bikes and homes left unlocked. Wandering around during the day and at night feels absolutely fine. Locals. Friendly, open-minded and relaxed locals, always with a big smile on their faces. “Nema problema” or “no problem” is their prevailing spirit and the locals are always happy to share hidden locations of best beaches, restaurants or must-see spots that no one else knows of. All visitors always feel welcome in Croatia. National Parks and UNESCO sites. Since 2016 Croatia has 8 UNESCO sites, including old town Dubrovnik and Diocletian palace in Split, which is one of the most fascinating Roman ruins. There are also 8 national parks where you can see true nature’s wonders, such as Plitvice and breathtaking waterfalls of river Krka. Dream destination for everyone! 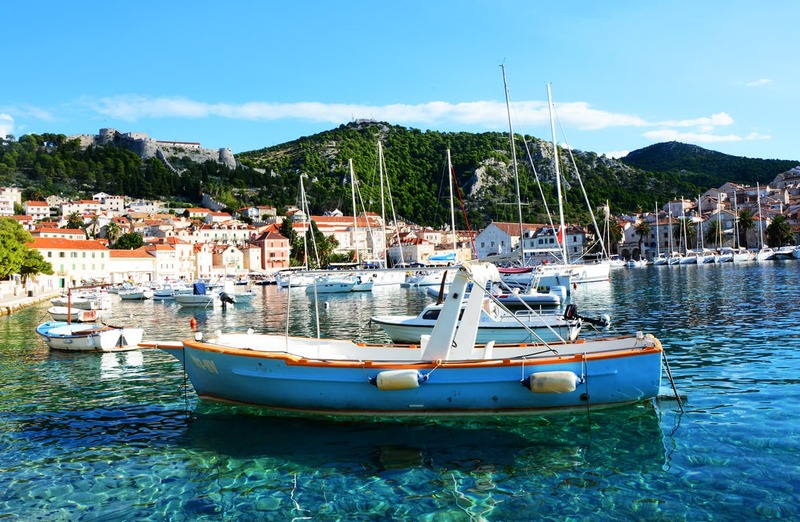 Whether you are a determined beach-hunter or adventurer, if means of dreamy holidays include relaxing on the beach or active travel across the country, Croatia offers a variety of options to easily satisfy even the most demanding visitors. Countless options for activities. You can hike high in the mountains and swim in the Adriatic sea in the same day! Explore the bottom of the sea or explore the depths of forests. You can sea-kayak, sail or snorkel. You can enjoy canyoning, rafting or kayaking in the green mountain rivers, in its rapids and impressive canyons. You can go 2000 years back in history or enjoy all of the privileges of modern times. There is always something new to experience, see, do and discover. Slovenia is a unique destination for exploring and travelling. It is a great destination for people who look for an active experience – the best and most excellent experience in the time that is available. It is often said that we should look for beauty in the small things. If we follow this suggestion we sometimes find even more fascinating things than we expected. Slovenia is guaranteed to be the best example of this. A small land that you can come from one side to another in under 3 hours, a land that is home to only 2 million people, but a land to countless natural wonders. From high mountains that are touching the sky, to mysterious underworld in Karst. From breathtaking alpine lakes high above the tree line to emerald rivers and lakes and blue Adriatic sea. From big and modern cities to small, traditional villages. Slovenia is a country of diversity. Slovenia as a tourist destination is a winner of many prestigious awards: it won the Destination Award in the 2015 Tourism for Tomorrow Awards as being the most sustainable destination. Bled won the award for being the best sport tourism town in 2016. It is quickly gaining reputation as being one of the most desired destinations among travellers. A paradise for nature lovers and an adventurer’s playground it is a promise to all visitors to spend every moment of their stay mesmerised by the unique beauty of the land. The options how to experience the country are endless, but as being an outdoor destination, We believe there is no better way to explore and discover a country, than to travel across the country on foot or by bike and give yourself an opportunity to see and find spots that otherwise you could not. Walk across the Julian Alps and conquer Mount Triglav, Slovenia’s highest mountain and feel like you are on top of the world. Bike across the country through the magnificent Trenta valley and explore some of the finest biking trails. Raft down the rivers and feel the rage of the rapids. Or go deep in the canyon and experience raw, untouched nature that remains hidden to most. We are aware of the natural resources and the beauties of our land. That is why we have taken self-guided travelling seriously quite some time ago and thus matured into a trustworthy partner, who is there for you throughout your travel. Hundreds of satisfied customers, our friends today, are the thing we can be most proud of. We are of course also proud of our programs, which we have constructed with care and enthusiasm, like we would be creating for our own wishes and needs. And last but not least, we are proud of our people on the field and of those in the offices, who are dedicated to the business, do their best and are the true backbone to your travel. The postcard-like scenery is just how it is around here. Everywhere you go. There is one island in the country. And a church on it. In the middle of the lake. Go there by traditional Pletna boat and make a wish at the wishing bell in the church. Slovenia’s only national park – Triglav National Park – covers 4% of the country and it is home to 150 over 2000 meters high mountains. Hiking and climbing routes are endless. It is the land of waterfalls. Some more famous than the others, yet all full of magic. Visit the famous Savica, majestic Boka and magical Kozjak waterfalls and let them allure you. 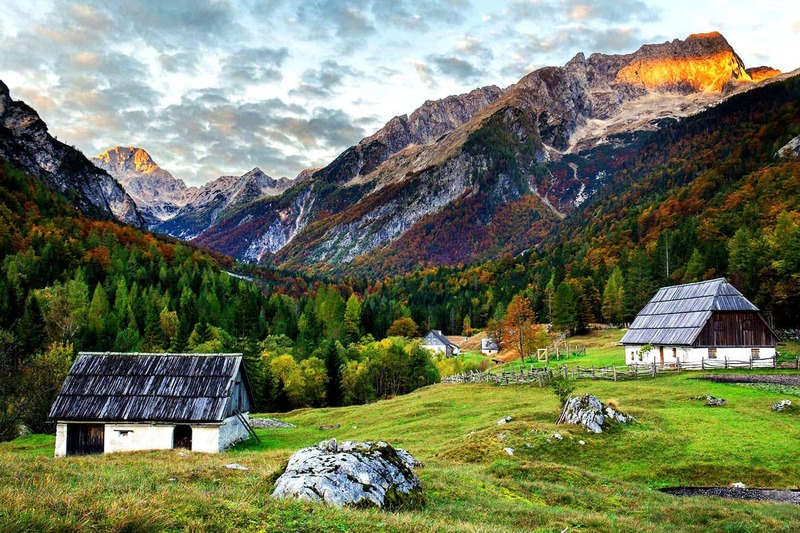 Slovenia is the third most forested country in Europe. Nearly 60% of the land is forested. Among many secrets the forests are hiding, there are many great bike paths crying out to be discovered. Delicious traditional cuisine. Try štruklji, Kranjska sausage and of course Bled cream cake! Slovenia has many vineyards and produces some fine red and white wines. Historic sights everywhere you go. From Stone Age findings to Roman ruins, the abandoned railways, old bridges and tunnels, fortresses and over a thousand year–old castles. Tradition is still very much alive. Watch the production of sea salt in the same way our ancestors have been producing it 700 years ago, visit the famous Toplar hayracks and see how for the past 300 years farmers have been drying crops and hay. The coastline. Short and sweet. On only 46 kilometres you will find a small medieval towns, located on the tiny peninsula, beautiful beaches, high cliffs and endless picturesque spots for romantic sunset watching. The underworld. The Karst area, which covers 43% of the land is hiding 11,500 known caves. The most famous are definitely caves Postojna and Škocjan. It is the biggest underworld area in Europe.